Dr. V.K. Puppala, a double-board certified anesthesiology pain specialist, is the founder and medical director of Comprehensive Spine & Pain, where our mission is to RELIEVE PAIN & RESTORE LIVES. He has been appointed Clinical Assistant Professor of Anesthesiology by the Medical College of Georgia and named to the Editorial Board of Pain Physician , the Journal of the American Society of Interventional Pain Physicians. Dr. Puppala serves on the Board of Directors of both the Medical Association of Georgia and the Georgia Society of Interventional Pain Physicians, and is also the founder of the Foundation for Pain C.A.R.E. (Charity, Advocacy, Research, Education). 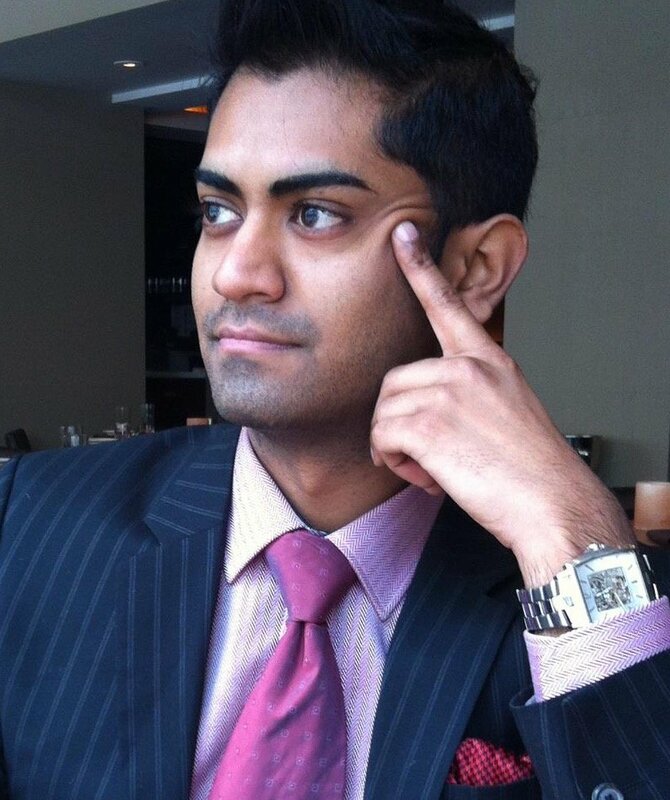 Dr. Puppala began his commitment to medicine and scientific research as a teenager when he began conducting research in the Department of Cardiothoracic Surgery at Loyola University Medical Center in his spare time while attending the world-renowned Illinois Mathematics and Science Academy, founded by Nobel laureate Dr. Leon Lederman. He graduated from the University of Illinois with honors in less than twelve months and earned his medical degree from the nationally top ranked Washington University School of Medicine. Dr. Puppala’s interest in pain medicine was sparked when he received a student grant from the National Institutes of Health to conduct research on the effects of peripheral nerve regeneration with Dr. Susan MacKinnon, who performed the world’s first nerve transplant. Following medical school, he received his training in pain medicine under the tutelage of Dr. Kenneth Candido, an internationally-renowned thought leader who himself trained under Dr. Alon Winnie, who originated many of the interventional techniques used by pain physicians today. While in training, Dr. Puppala presented research at national and international meetings and won the Illinois Society of Anesthesiologists award for the world’s first report of treatment for HIV-related polyneuropathy using spinal cord stimulation. With his training lineage in pain medicine tracing back to one of the original founders of the specialty, Dr. Puppala founded Comprehensive Spine & Pain in 2016 in order to achieve his goal to RELIEVE PAIN & RESTORE LIVES. He has expertise in the treatment of neck and low back pain, herniated discs, intractable neuropathic pain, joint pain, headaches, myofascial pain syndrome, fibromyalgia, complex regional pain syndrome (CRPS/RSD), and chronic abdominal/pelvic pain with a multi-modal approach. 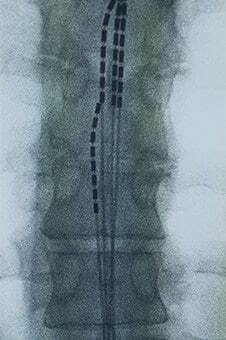 He is exceptionally skilled in fluoroscopic-guided nerve blocks, epidurals, and radiofrequency ablation. 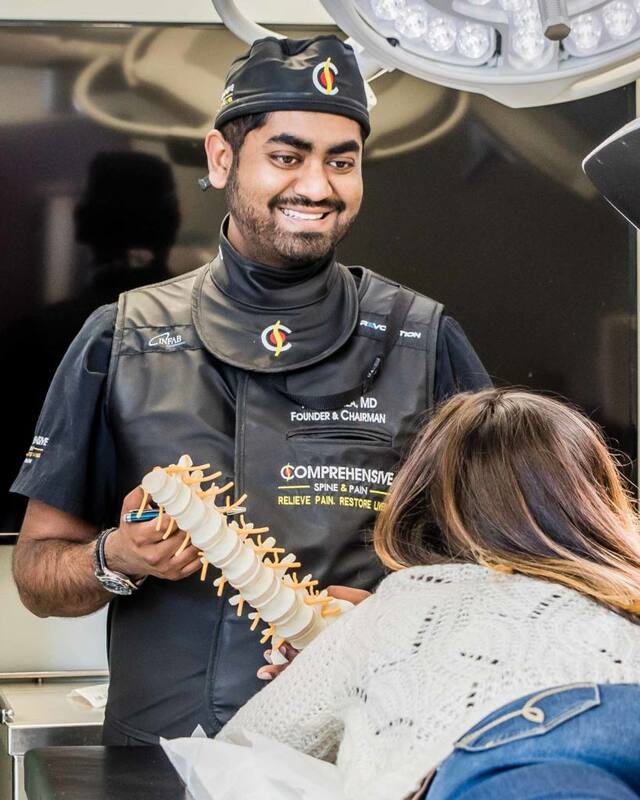 He is particularly passionate about the use of spinal cord stimulation to treat intractable neuropathic pain and enjoys re-evaluating patients who have already seen other pain specialists without relief from conventional epidural injection management. and functional restoration within a comprehensive biopsychosocial feedback model. His goal is to enable his patients to regain a life free of suffering while also minimizing the need for chronic opioid dependence. In his free time, Dr. Puppala enjoys music and art, stays active in professional networking, volunteers at an animal shelter, and contributes to a variety of philanthropic causes. Dr. V.K. Puppala, MD, Founder & Chairman of Comprehensive Spine & Pain, in Metro-Atlanta specializes in state-of-the-art methods that RELIEVE PAIN & RESTORE LIVES. Dr. V.K. 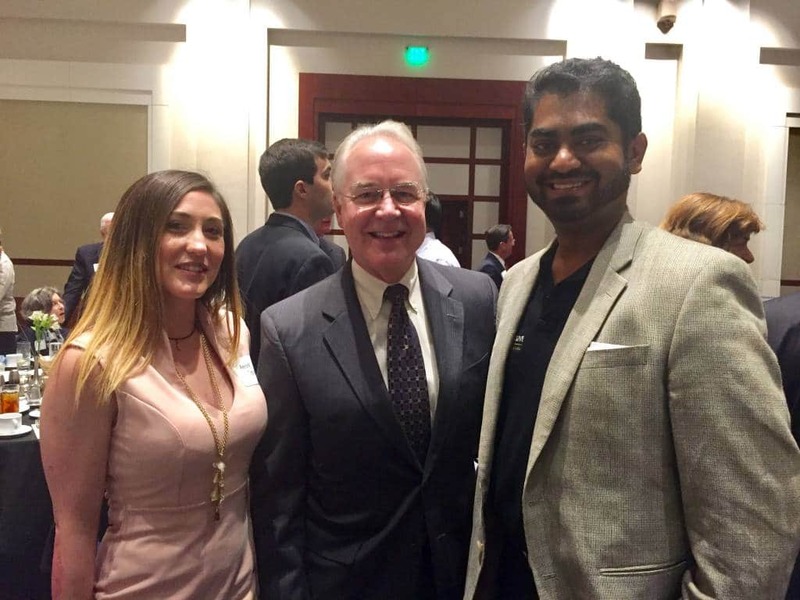 Puppala, MD, Founder & Chairman of Comprehensive Spine & Pain and Amber Denley meet U.S. Secretary of Health & Human Services Dr. Tom Price and discuss how to RELIEVE PAIN & RESTORE LIVES using non-opioid treatment options. Dr. V.K. 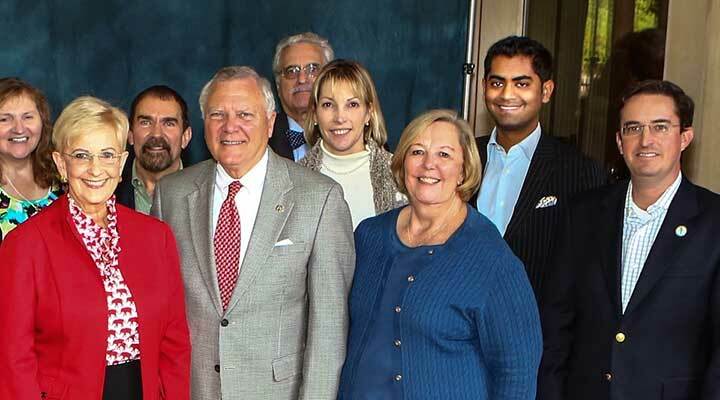 Puppala, MD, Founder & Chairman of Comprehensive Spine & Pain, and Cobb County Medical Society President Dr. Roy Daniels meet Georgia Governor Nathan Deal at the Georgia State Capitol. Dr. V.K. 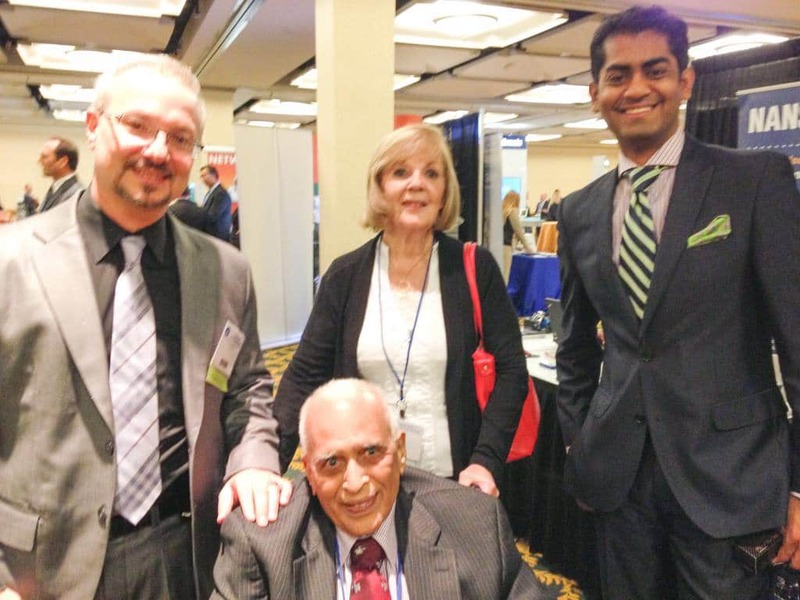 Puppala, MD, Founder & Chairman of Comprehensive Spine & Pain, and Chairman of Anesthesiology Dr. Kenneth Candido with the late Dr. P. Prithvi Raj, one of the original founders of the field of interventional pain medicine, at the American Society of Interventional Pain Physicians. Call 770-627-7246 or 770-MAP-PAIN to schedule an appointment today in Lithia Springs or Villa Rica, Georgia. Why Choose Dr. Puppala, M.D. ?